As a small business it can often be a challenge to obtain deep insight into the workings of your information technology organization. When it comes to web sites there have always been a number of decent, free tools that would do the job adequately, such as Webalizer. But these tools require some level of additional setup and expertise which means either more time being spent on your own attempting to learn and manage another IT skill or paying your IT staff to do so. Today we have another option. Google offers a great, free product available online called Google Analytics. Analytics is a complete website tracking package that sends all of its data to the Google Analytics website where you can view your statistics online or have a report emailed to yourself automatically at set intervals. Google handles all of the code, storage and reporting involved in keeping tabs on your company’s websites making your job very easy and allowing you to focus on your business rather than your technology needs. Obviously it will take a little while for Analytics to begin collecting the data that it needs in order to generate reports for you. After a day or so you should begin to see the reports in action, although it takes a month or more before the data that is collected will really begin being valuable to you. Some of the most important data obtained from a web site is changes in your readership over time to alert you to when you are doing things right or doing them wrong for your market. Google Analytics collects and collates a lot of useful information for you. You can see breakdowns of which pages are drawing readers and which are turning them away. You can see what search terms readers are using to find your site. Analytics also provides a very nice map report that allows you to see your readership from around the world. Using Google Analytics you can find out more about the users that your site is attracting and you can learn how they are using your site. 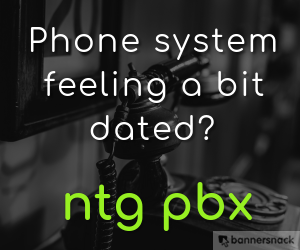 By obtaining this data you can learn how you can better reach you intended customer base or learn more about your existing customers. It can also teach you what information on your site users are able to find and what process they are using to reach that information. A tool like Google Analytics or Webalizer is a critical first step in making your web sites work for you. Visit Google Analytics’s Features Page to learn more about the features available from this product. When disaster strikes it is a good time to reflect on what preventative measures might have saved the day. Working in IT, as I do, mitigating and even preventing disaster is a big part of the job. No matter how hard we try disaster can still strike and being prepared for it is very important. Email is one of those systems that almost no business can function without in this day and age. Getting to lost email messages quickly is almost as important as getting email flowing again. Recently, I had to deal with a pretty significant email disaster. A lot of email was lost. Getting email back up and running wasn’t too hard but a lot of email had been lost. In a post-mortem we looked into many potential solutions to the ongoing issue of email backups which are often tricky and difficult to do properly. One of the best suggestions made in our post-mortem engineering sessions was to have email backed-up, on the fly, message by message via forwarding to Google’s GMail service. Now, before we get too far, I need to state that this is not a comprehensive backup solution. Using email forwarding to GMail (or any other email service) must be handled account by account which causes it to scale very poorly. It would be an administrative nightmare for a shop of any size but is quite easy for a very small organization of up to possibly twenty or thirty people. It also does not handle outgoing (sent) email in any way but only incoming email – which is almost always where the important messages are located. A traditional backup of your email system is still necessary. This is really a complimentary service not a replacement solution. What is great about forwarding to GMail is that it is free, it is extremely convenient, it can be handled by the email users who want it and ignored by those who do not, it is almost instantaneous and the backups will continue even when an email client is not connected – unlike an IMAP or POP client based backup strategy. Google provides so much storage capacity that likely you can send years of email messages to GMail without ever needing to clean out your archived messages. Email forwarding can be set up by individual users or by an email administrator although if individual users do not manage their own GMail accounts this can be problematic. There is also the potential option to have several company email account forward to a single GMail account although comingling email will result is all kinds of potential headaches later and be sure to be very confident about your legal ground for combining email in this manner. Smaller organizations need to carefully consider how to take best advantage of the email options that they have available to them. Email forwarding is one way in which very small organizations can take advantage of their size. Large organizations would be forced to use more complex and expensive backup strategies to achieve these same results. The idea to build the R.M.S. Titanic and her sisters, the R.M.S. Olympic and the H.M.H.S. Britanic, first began to take shape in 1907. These three ships together were White Star Line’sOlympic Classocean liners. (I will use the Olympic(s) in reference to the class of vessels throughout this text for the sake of clarity.) Few vessels in human history have become as well known and infamous as the R.M.S. Titanic. In examining the R.M.S. Titanic from a perspective of project management it is important to first identify what type of product this project was set to produce. Unlike many projects where the final customer will own the final product the Titanic was designed to deliver a service, particularly a ferry service, to its end customers. This creates an interesting challenge in discussing “Project Titanic” since most views of project management see a project as having a discrete beginning and end as well as clear, well-defined stakeholders. It is my goal here to examine the Titanic as a service from conception to service delivery and, ultimately, service failure. From this perspective the Titanic can be treated much like one would treat a modern Software-as-a-Service (SaaS) project. Because of the nature of a ship such as the Titanic or SaaS products such as Salesforce.com or SugarCRM we need to consider the intended lifespan of the product and the ongoing upgrades and maintenance that will be needed to keep it operating. The Titanic requires a huge staff of pilots, seamen, chefs, porters, stewards and more while at sea and required re-outfitting, repairs and, had she survived, she would have needed a new double-hull like the R.M.S. Olympic received. A SaaS project will similarly require a staff to maintain the datacenter and networking, ongoing upgrades and bug-fixes, new features, etc. In both the case of the Titanic and of a SaaS project there is a real potential for a service disruption that could prove to be extremely costly. Maintaining steady, reliable operations is a major factor in the success of either of these business plans. Let’s begin our analysis of the project to bring the Titanic to fruition by examining the stakeholders. We can easily identify the passengers and crew of the Titanic as stakeholders, White Star Lines as a company as well as the project engineers, Harland-Wolff as the constructors, Alexander Carlisle and Thomas Andrews as shipwrights and designers at Harland-Wolff, Captain Edward John Smith who was responsible for service delivery and finally White Star director Joseph Bruce Ismay and his executive staff who were in the role of project sponsor. In any project of this size there will be many important players all of whom have some stake in the project. We will focus just upon these key people as the most prominent stakeholders in the Titanic project. Because of the construction-like nature of shipbuilding and especially with mammoth ships such as the Olympics the design process involves heavy upfront design with very limited feedback loops later on once the designers can physically inspect the ship. In software terms this is referred to as “Big Design Up Front” or BDUF. In software where changing requirements are common this is generally considered to be a very bad practice but in mechanical and structural engineering this is simply the only reasonable solution. The original design and intent of the Olympics was that they would incorporate the very latest technologies for safety. After the initial design was complete business pressure from White Star Lines and especially J.B. Ismay was put onto the architects and engineers to remove safety features in favor of first class luxuries. The two most famous changes were, of course, the removal of the lifeboats so that the views from the cabins would not be unnecessarily obscured and the modification of several of the bulkheads to no longer seal and to rise just ten feet above the water level in order to allow for an expanded grand ballroom facility. As with IT projects, engineering decisions for core systems are generally beyond the ken of business executives. Allowing business side decisions to influence otherwise technical decisions is dangerous as the usual precautions and thought processes are bypassed and expertise is overlooked. In this case these were issues pertaining to the care and preservation of human life. In software we seldom have such an important task at hand but allowing business managers without understanding of key systems to be involved in their design can be exceedingly harmful even if the result is as benign as loss of business or greater cost of operations. One of the most dramatic problems that arose from late changes to the Olympics’ designs were that the changes, each being small on their own, were most likely never taken together and examined as a whole in the same manner that the original ship design was considered. When the lifeboats were removed the engineers involved were thinking that the ship was designed to be a floating life raft and that the purpose of the life boats was simply to ferry passengers from a motionless ocean liner to another ship in the “worst case scenario” that the Titanic or Olympic were to lose power. Even a collision was expected to only make them float low in the water, not to sink. The life boats were removed until only the minimum legal number remained at the behest of White Star Line’s executive committee. To the engineers this would have been an acceptable, although not recommended, safety trade-off. The design of the ship was such that having additional life boats was not a legal requirement nor was there any driving need to keep them as the usefulness of the additional boats was believed to be minimal. In the end, it would not have been the decision of the engineers but of White Star who was the final customer to the shipbuilders and whose decisions provided them with their livelihoods. On its own the decision to remove the life boats would, most likely, have been a minor one. But additionally the decision was made to change the key structural design of the Olympics from having all tall bulkheads to having four of them be significantly lowered to just ten feet above the waterline meant that the concept of the ship as being a floating life raft was compromised. The bulkheads were never truly water tight as the marketing materials would have lead us to believe but they were quite tall and very water “resistant” and would have most likely been able to keep water from traveling between them under even a very serious hull breach. As the initial design of the ship was replete with safety features this would have been considered, like the life boats, to be a redundant feature and its removal would have only been lowering the ship to more common safety criteria. Taken individually the changes were mostly innocuous, but taken together the changes became a complete redesign of the ship and completely disastrous. At no point did the qualified engineers go back through and do a complete reassessment of the safety features of the ship with all of the changes in place. In some respects we could look at J.B. Ismay as being a micro-manager. He did not trust the decisions of those that he hired for the purpose of their technical expertise and overrode, either directly or through indirect pressures, their decisions. Micro-managing has many negative results. The obvious being untrained and unqualified managers influencing decisions that others believe to have come from qualified professionals. Others include eroding the value generated by the project team and degrading employee loyalty and morale. It is difficult to find software projects that closely follow this type of model with a production prototype followed by a series of production implementations based upon the prototype but not identical to it. The closest example of this that I can postulate is the enterprise resource planning (ERP) package SAP. With this package, and others of its ilk, customers buy the package based upon its prototypical performance and features and then either on their own or through a consulting firm or the original vendor will heavily modify the package to their own needs. Generally the advantage to such an approach is that the core of the software package, the infrastructure, is very stable and well tested and often used across a wide degree of situations giving it both project side as well as client side testing. Care must be taken, of course, because customer initiated modifications will not have the benefit of the deep testing that one hopes has been performed on the core infrastructure nor do the changes have the benefit of “many eyes” from the wider client community. It would appear that White Star Lines and J. B. Ismay were quite willing to take on exceptional project risk in order to get the ship into regular service as quickly as possible. Through standard maritime procedure they mitigated much of their capital risk through maritime insurance. This would protect them against many potential unknowns. Once the Titanic was built, outfitted and available for sailing we see a stage change and we move into the service delivery phase of the overall Titanic project. In this stage we are past the traditional stages of project management. In most scenarios a client would now have taken possession of the finished product. But in the case of the Titanic this becomes the service delivery phase. Under service delivery White Star Lines took responsibility for any new issues that would arise with the ship. At this point the traditional system of design – build – test would no longer be used and instead the service delivery would be overseen by standard operating procedure or SOP. Ongoing ship modifications, repairs, tuning and the like would still continue but these would be designed to not be at the level of requiring a service interruption but would be minor and done without the knowledge of the final customers – the passengers. It is at this stage that the passengers arrive as our most critical stakeholders because, in this scenario, they are not just financial stakeholders but are literally staking their very lives on the reliability of the ship and the operations of the crew. The pig and the chicken metaphor is normally used to express the difference between stakeholders who have real money or careers on the line versus stakeholders who have a vested but non-critical interest in the project. The chickens would prefer not to see a project fail but failure is not necessarily devastating for them. In the case of the Titanic we see that the financial stakeholders, Harland-Wolff and White Star Lines, were effectively chickens. They had much to lose but their investment was insured and later, we will see, the government was even willing to protect companies of this nature at this time due to the pending war with Austria and Germany. Neither White Star nor Harland-Wolff were “totally committed” – they had a definite interest and the success of the Titanic was extremely important to them but the passengers and crew of the Titanic were truly the pigs here willing to put their very lives at stake. Seldom is the chicken and pig metaphor more appropriate. The Guarantee Group comprised specialists from many different technical practices within Harland-Wolff. We see representation from the fitters, electricians, joiners, draughtsmen, design team and more. This group, with their varying specialist areas and their differing levels of experience with both seniors and apprentices included, would have been an exceptional cross-section of the project team that built the ship. Their presence aboard with the care given to appraising the workmanship, design and other final components can be seen in two principle ways. In the first way we can see this as a “port-mortem” performed on the Titanic Project. It was the role of this team to assess the technical success of the project and to look for areas for improvement as well as to generate “lessons learned” so that future projects could benefit from the experience gained here. Considering the cost of the transatlantic trip and the time spent away from their regular duties this was a serious investment in project knowledge by Harland-Wolff and extremely commendable. Taken in another light, this guarantee group could be seen as providing feedback on a construction iteration. The Olympic’s construction being the first iteration, the Titanic’s being the second and the Britanic’s being the third. In this approach we see a type of Agilefeedback loop being utilized, as much as possible, to allow for customer input even on such an extreme capital construction project. The iterations are very long, but this is by necessity. In this way we can view the Titanic as both a project unto itself, being a discrete deliverable, as well as being part of the ongoing project to deliver passenger service via the Olympic family of vessels. The guarantee group being aboard ship would have presented the opportunity for the technical teams to get a first-hand appreciation of the real world application of their product. Rarely would a technical specialist be in a position, in 1912, to travel on a ship of this level of luxury. Without the sponsorship of Harland-Wolff in providing this chance for its staff to witness their own workmanship at work they might never understand their own roles in providing services to their final customers. Having apprentices included in the guarantee group meant that direct one-on-one or small group, informal training could be performed. The apprentices and the senior technicians would have had many days to work together, and the apprentices would have had a great opportunity to learn from their seniors in a setting conducive to team building and knowledge transfer. In many ways we can see this time as being similar to off-campus team building sessions or retreats popular with many companies and project groups today. Standard Operating Procedures are absolutely critical in any service delivery situation. In some companies these can even be considered so valuable as to be the core intellectual property of the company. Without the SOP a company is no more cohesive than the inherent “teamness” of the staff which, in cases of new employees, may be nominal. Staff will have to rely totally upon best practices, convention, informal staff instruction or, hopefully, training to learn their jobs and processes. But these will not be standardized if they are not written down and training will inevitably vary from trainer to trainer and no employee can retain all instructions for all possible scenarios. Under normal conditions the lack of standard operating procedures may be of relatively minor importance. Staff can perform most job functions adequately, especially if trained, without needing an SOP. If they did they would need to carry the SOP with them at all times. When the SOP becomes extremely critical is when “normal operating procedures” are no longer available or, in more modern terms, when operations is no longer under BAU (Business as Usual) conditions. For the Titanic, BAU conditions were broken several hours before the iceberg incident. In the case of the Titanic it is difficult to discuss standard operating procedures without also discussing communications. So we will begin with communications under BAU conditions and then see how the lack of an SOP caused the situation to deteriorate rapidly. In this case it is important to emphasize the importance of managing third party contractors via a service level agreement. White Star Lines, in allowing the Marconi Company to staff its wireless room, should have had a clear SLA demanding that safety and emergency communications for the ship take absolute priority over the personal messages of the crew. They should also have not allowed Marconi to make an additional profit or be financially benefited by not following the SLA. As an outside contractor Marconi should have had a contract that was designed for mutual benefit – that is that when executed as stated that it was to all parties mutual benefits to act correctly. Contracts between vendors that give financial incentives for a vendor to work against the good of their client are very unwise. Communications are key at any stage of any project. In the case of the Titanic the catastrophic situation highlights issues that occurred because of communications, but this is simply a worst case scenario. Projects need to have as much up-to-date and accurate data as possible when making decisions. Without it decisions are made using only a partial available picture and the less correct information available the less likely that a good decision can be made. Perhaps the greatest project management issue affecting the Titanic, however, was its lack of standard operating procedures. The SOP should have been produced as an essential project deliverable during the later stages of the construction process. For a ship to have been deemed seaworthy when there was no SOP to operate her is truly inconceivable. Even the most agile of development methodologies fails to overlook the need for end-user documentation. 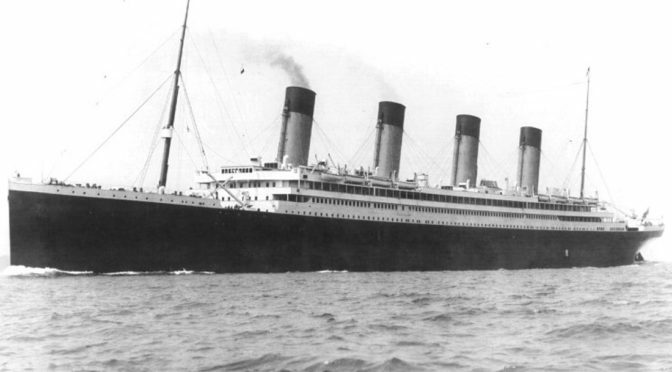 Since the design and construction portions of the project had failed to provide the crew of the Titanic with an SOP or, at least, a reasonable SOP (there were some generic standard procedures in the White Star Lines manual itself) there were no clearly defined rules or processes for dealing with communications, tracking alerts, providing warnings, etc. There was no emergency procedure to be followed and so the crew was forced to act on nothing other than experience and general mariner knowledge. It is at this point, when examining the actions of the crew under emergency conditions, that we witness the complete breakdown of the command structure. In a traditional business the business executives are generally accepted as having the final decision-making power on any corporate action as long as it falls within legal boundaries, and often when it does not. In the average business a bad operational decision results in loss of revenue not the loss of life. A wise executive will understand the need to not override the decisions of those specialists hired to make operations decisions or possibly a board will require that an executive listen to her staff. Nonetheless, the idea of business side executives interfering with project operations is against best practices and is widely accepted as being a bad course of action. During the time leading up to the iceberg collision J. B. Ismay had been pressuring Captain Smith to drive the ship at an irresponsible speed – in excess of twenty-four knots or seventy-five revolutions. The Olympic, being considered the “test” for the Titanic, had never crossed the Atlantic at this speed and the Titanic was now operating even outside of the range of tests performed on the Olympic without even time enough to have performed a single Atlantic crossing under normal conditions. Ismay and Smith drove the Titanic beyond its known performance parameters and, more importantly, beyond the crew’s known operational parameters. It was simply unknown what operational risks would be involved with the ship at this speed. To maintain what should have been considered an unsafe speed while also going into waters known to be strewn with icebergs was extremely foolish. Given the distance in time that we are now from the Titanic it can be difficult to assess processes followed and to know what went right with the project when we know so much that went wrong. The sinking of the Titanic is so iconic in our minds that to see it as anything but a marketing and organizational disaster is difficult at best. In the end the Titanic project was immense but well managed. Scope was controlled and changes accommodated when necessary. Large design up front with a well established contractual interface to the construction phase was used and this cementation of the specifications allowed for careful and accurate scheduling. The processes by which the ships were built were standard and well known. Using historical construction data Harland-Wolff was able to accurately predict the time needed for construction allowing White Star Lines to begin marketing and sales long in advance of the actual sailing of the ships. The Titanic, being an almost identical copy of the Olympic, had even fewer surprises. The only true surprise resulted from the change of priorities from White Star Lines that resulted in the Titanic project being put on hold for approximately one month. Project risk for the Titanic was handled poorly relying heavily upon external insurers and, in the end, the British government to protect the company from liability lawsuits at the expense of the primarily British and American passengers. Risk was considered to be very low and because of this many careless decisions were made first with the Olympic and then, when operational disasters were minimal, even moreso with the Titanic. Careful risk assessment was not made. Expert mariners could easily and quickly have defined many risk areas that needed to be addressed. Issues such as the lack of a complete Standard Operating Procedure would have been flagged and could have easily been handled since resources for this would not have needed to have come from the current Titanic team and would not have impacted the delivery date or any of the variables that we understand now to have been of primary concern to White Star Lines. Communication on the project seems to have been handled very well until service delivery began. At this point design flaws, questionable decisions and the lack of SOP came to bear on the communication network on board the ship. This communication could be considered to be operational and not project based but the argument is semantic. The issues with the Titanic were holistic and with proper design methodologies being followed risk analysis would not have been missed which would have forced the creation of the SOP which would have highlighted or perchance even fixed the communications issues. At its core the question was one of quality. The Titanic was proposed and sold as the highest quality transatlantic travel option. Quality was heralded, directly or indirectly, in almost every breath spoken about the Titanic. The customer interface was kept as clean and concise as possible. No expense was spared if the results would be witnessed by a customer. But the underlying core or infrastructure of the project (non-functional requirements according to Kozak-Holland – although I do not agree with their use in this context) on which this “quality” was to rest was ignored and the true quality of the Titanic and the quality of the operations of White Star Lines was to become ultimately evident. Schwaber, Ken. Agile Project Management with Scrum. Redmond: Microsoft Press, 2003. Kuntz, Tom. Titanic Disaster Hearings: The Official Transcripts of the 1912 Senate Investigation, The. New York: Pocket Books, 1998. Audio Edition via Audible. Sadur, James E. Home page. “Jim’s Titanic Website: Titanic History Timeline.” (2005): 23 February 2008. ThinkQuest Library. “Designing the Titanic.” (Date Unknown): 25 February 2008. Titanic-Titanic. “Olympic.” (Date Unknown): 25 February 2008. Titanic-Titanic. “Guarantee Group.” (Date Unknown): 25 February 2008. Brander, Roy. P. Eng. “The RMS Titanic and its Times: When Accountants Ruled the Waves – 69th Shock & Vibration Symposium, Elias Kline Memorial Lecture”. (1998): 25 February 2008. Brander, Roy. P. Eng. “The Titanic Disaster: An Enduring Example of Money Management vs. Risk Management.” (1995): 25 February 2008. Kozak-Holland, Mark. Lessons from History: Titanic Lessons for IT Projects. Toronto: Multi-Media Publications, 2005. Kozak-Holland, Mark. Avoiding Project Disaster: Titanic Lessons for IT Executives. Toronto: Multi-Media Publications, 2006. Kozak-Holland, Mark. On-line, On-time, On-budget: Titanic Lessons for the e-Business Executive. IBM Press, 2002. US Senate and British Official Hearing and Inquiry Transcripts from 1912 at the Titanic Inquiry Project.